As a devoted reader, the president has been linked to a lengthy list of novels and poetry collections over the years — he admits he enjoys a thriller. My favorite non business book is easy, Harry Potter. Easily the most fun I have ever had reading. I used to read more fiction when I was a lot younger just like any young boy. And of course the favourite book that teens my generation love would be Harry Potter! It just gives us an avenue to be part of that fantasy world that we have always dreamt of. I hate reading. I always have. Except for Harry Potter and To Kill A Mockingbird, which I've read dozens of times. Favorite non-business book that I would argue can teach you a ton about business leadership — The Harry Potter series by JK Rowling. Hardcover set: HARRY POTTER BOXED SET 1-7 includes the seven phenomenal Harry Potter hardcover books by best selling author J. K. Rowling. These books are housed in a collectible trunk-like box with sturdy handles and privacy lock. Bonus decorative stickers are included in each boxed set. Paperback set: The perfect gift for collectors and new readers alike, we now present a breathtaking special edition boxed set of J. K. Rowling's seven bestselling Harry Potter books! The box itself is beautifully designed with new artwork by Kazu Kibuishi, and the books create a gorgeous, magical vista when the spines are lined up together. 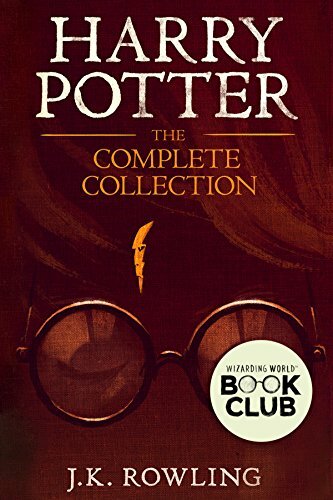 The Harry Potter series has been hailed as "one for the ages" by Stephen King and "a spellbinding saga" by USA Today. Now is your chance to give this set to a reader who is ready to embark on the series that has changed so many young readers' lives.